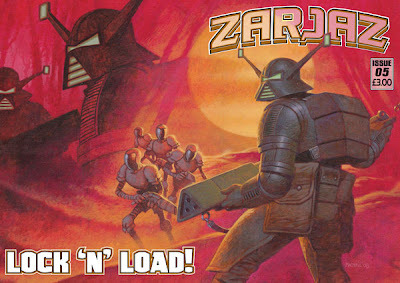 One of the finest pieces of art it has EVER been my pleasure to see, and it is the cover for the first issue of Zarjaz under my influence. I could not be happier with this, and the fact that Colin sent me the original was something I didn’t think happening. The issue goes on sale at Bristol (I hope to have it into the FQP shop for then as well) and if anyone is interested I’ll be taking the original to pass back to Colin, so It may well be on display for the weekend. Coming soon. 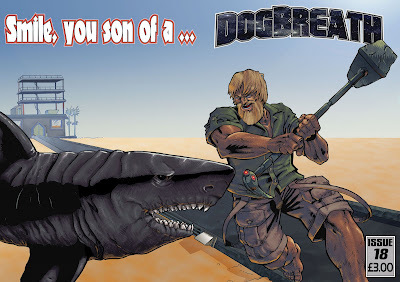 Dogbreath 18 features the first meeting of Johhny and a Dune Shark! Thanks to Steven Denton for the excellent colour work on this piece. Starting in Dogbreath 18, is a new mini-serial written by Alec Robertson with art by Bruce McLaren. 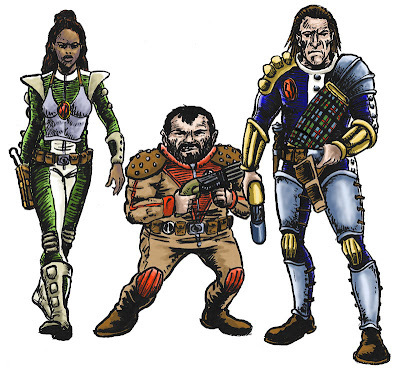 Shadow of the Mutant is set in the highlands of Future Scotland and tells a tale of friendship, betrayal and prejudice in the way that only Dogbreath can.